This book presents a practical introduction to the Office of Government Commerce’s (OGC) publication “Management of Risk: Guidance for Practitioners”. The book was co-authored by Mike Ward of Outperform and John Humphries. Find out more at the OGC/TSO Best Management Practice web site. “IRM 6th Edition Business Risk Management” by Jonathan Reuvid (co-contributed to by Mike Ward and John Humphries). This is a practical guide to protecting your business. More information and the ability to purchase the book can be found at Amazon. 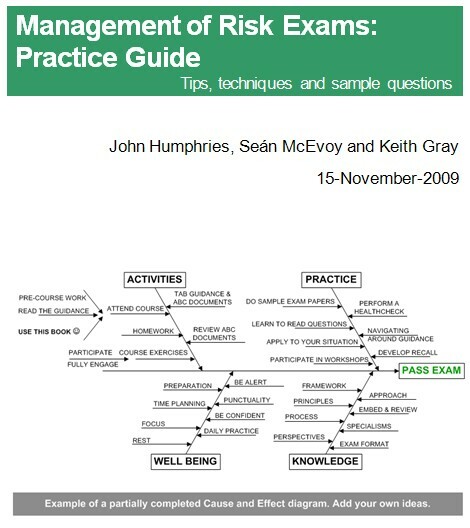 “Management of Risk Exams: Practice Guide”, co-written with Keith Gray and Seán McEvoy. The guide describes how to tackle the different types of questions encountered and contains practice foundation and practitioner style questions and answers. Use this workbook to study, practice and prepare for the Management of Risk, M_o_R® Foundation and Practitioner exams.You’ll get to know the different types of questions and techniques for tackling them, tips on finding your way quickly around the M_o_R® Guidance, exam planning and time-management.Written by experienced M_o_R® instructors, this book contains a full, 45 question, Foundation test paper, sample questions in Practitioner-style OTE format, and puzzles to help remember key terms. The Management of Risk Exams: Practice Guide, Tips, Techniques and Sample Questions is available at £15.00 plus £1.50 postage & packing. Please contact us for details. John Humphries is the first M_o_R® Registered Consultant (001) to be appointed. As an Accredited M_o_R® Instructor he has led Practitioner courses since 2006. John authored two accredited M_o_R® Courseware packages, co-authored the OGC’s For Successful Risk Management: Think M_o_R®: and contributed to the IRM’s publication on Business Risk Management. 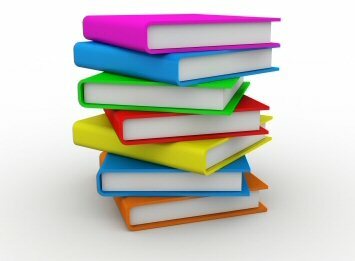 Consulting assignments include developing risk management policies, strategies and process guides. Seán McEvoy is an Accredited M_o_R® Instructor, an accredited PRINCE2® Instructor and a PMP®. He is a visiting lecturer on Project Management in Trinity College, Dublin. He has been a practicing project manager for over 25 years and has developed and delivered Risk Management and Project Management courses worldwide. He has worked with Central Government, Local Government and Multi-national organisations to develop their awareness and understanding of Risk Management. Keith Gray is an M_o_R® Registered Consultant (003) and Accredited Instructor and has been delivering risk management consulting services since 2000 and M_o_R® Practitioner courses since 2007. Keith has run risk culture, risk identification and risk tool configuration workshops in the UK and Australia as steps in implementing organisation-wide risk management.